Drawn from Ethnological and Anthropological Notes on Moosehead Lake, by Joseph D. McGuire, 1908. 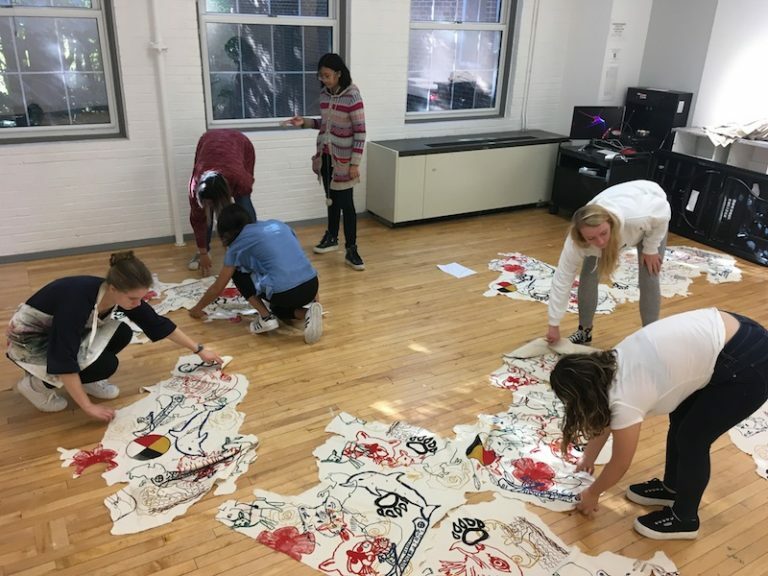 The Wabanaki map literally at the center of a recent Bowdoin workshop was imprinted, like a fabric mosaic, of images integral to the history of the Wabanaki people and their culture: a red eagle, a tri-colored dream catcher, fish, and mammals. Over the course of the workshop, the Wabanaki map—the colorful storyboard in the middle of the room—was folded up and broken apart several times, representing the fragmented nature of Wabanaki history. By the end, the pieces were rolled out and put back together, as if to symbolize the resilience of the Wabanaki up to the present day. 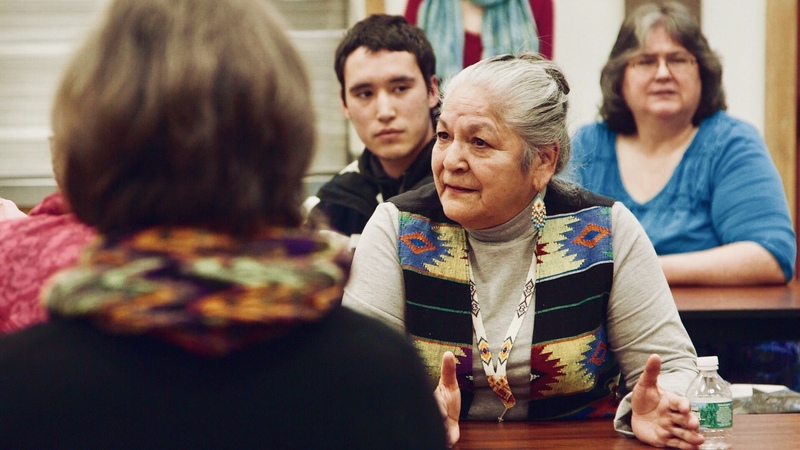 “We are working toward truth, healing, and change with educational programs that teach how the process of colonization happened and continues to happen here,” said Kates. Diana Furukawa ’18 helped facilitate the recent afternoon event in the Edwards Center for Art and Dance with Maine-Wabanaki REACH, a nonprofit engaging non-native people in restorative justice for the Wabanaki. 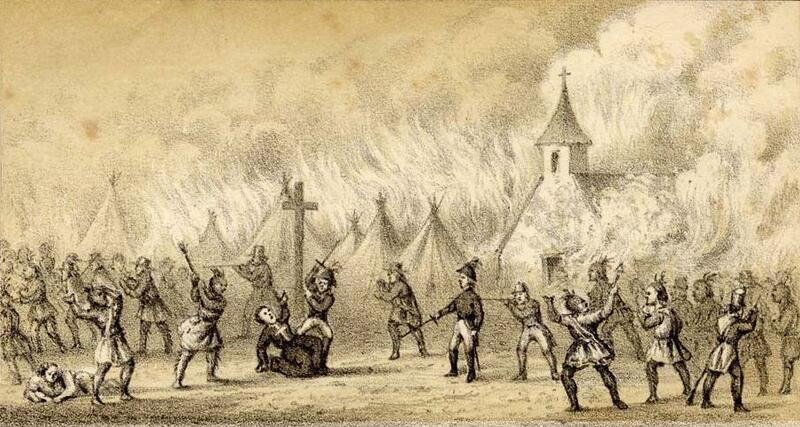 The Wabanaki refers to five nations—the Mi’kmaq, Maliseet, Passamaquoddy, Abenaki, and Penobscot—who are from the Northeastern part of the country, including Maine. 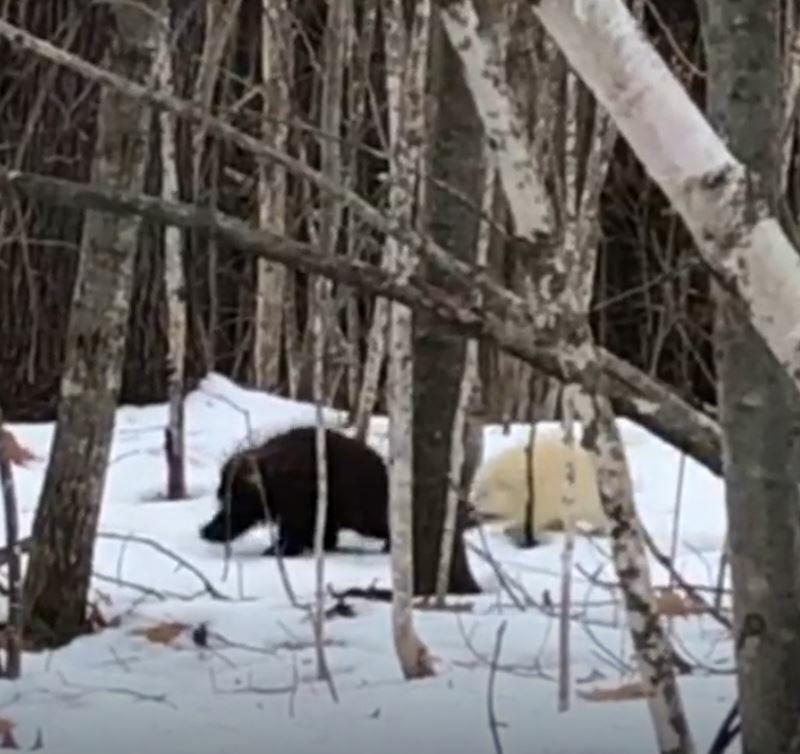 Furukawa currently works at the public library in Millinocket, Maine, helping with community-led grassroots revitalization efforts in the Katahdin area. To bring the Wabanaki event to Bowdoin, Furukawa partnered with Barbara Kates, REACH’s community organizer. Read the full article by Florangela Davila in Crosscut. The junior high school was abuzz with more than just typical Friday excitement May 11, when seventh-graders broke away from their standard classroom routine for a special reason. 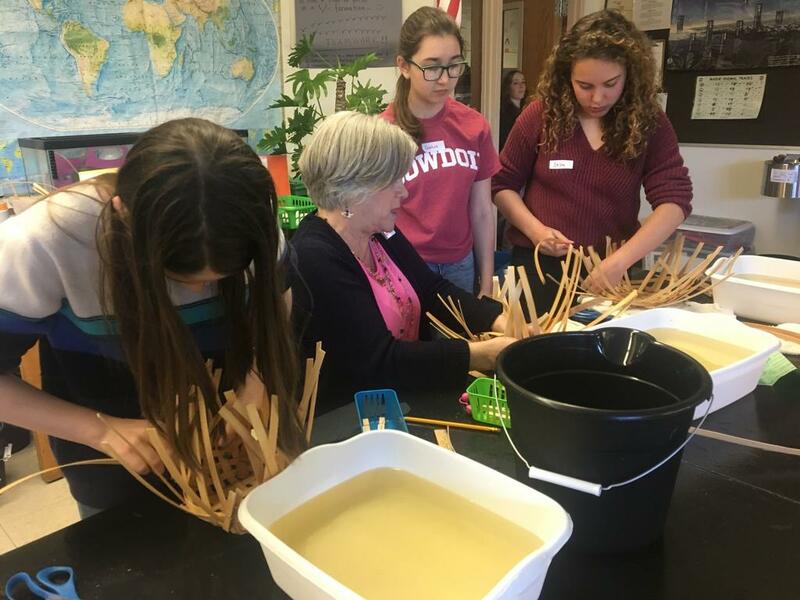 The afternoon marked the school’s first-ever Wabanaki Cultural Day, and allowed the students to try their hands at traditional native crafts and activities. Teachers also got a break from their usual classes, as experts in each area of instruction from the Penobscot and Passamaquoddy tribes led the activities. Social studies teacher Carla Shaw, one of the organizers of the event, said it was made possible by a $2,500 grant from the Brunswick Community Education Foundation. Shaw and talent development teacher Sharon McCormack applied for the funding. Maine schools are mandated to teach about Wabanaki culture, but Shaw said “there’s not a lot of resources out there,” aside from some pages in the social studies textbook. Read the article by Elizabeth Clemente in The Forecaster. Photo by The Forecaster also.